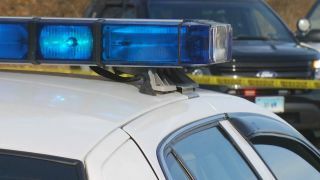 The driver of a stolen vehicle was Tased on Wednesday afternoon after trying to flee the scene of a crash and nearly ramming into a San Jose police officer. Two friends were speeding in separate vehicles, one of which was stolen, according to police. The driver of the stolen vehicle ran a red light at South Jackson Avenue and Cinderella Lane and rammed into another car around 1 p.m. The man's friend was behind him during the accident and stopped to see if he could help. The suspect, however, jumped out of his car and into his friend's car, and insisted that he flee. When his friend refused, police said the suspect floored the car's gas pedal. It remains unclear how the suspect was able to reach the accelerator. The car jolted forward and nearly hit a police officer. Officers used Tasers to stop the men, police said.